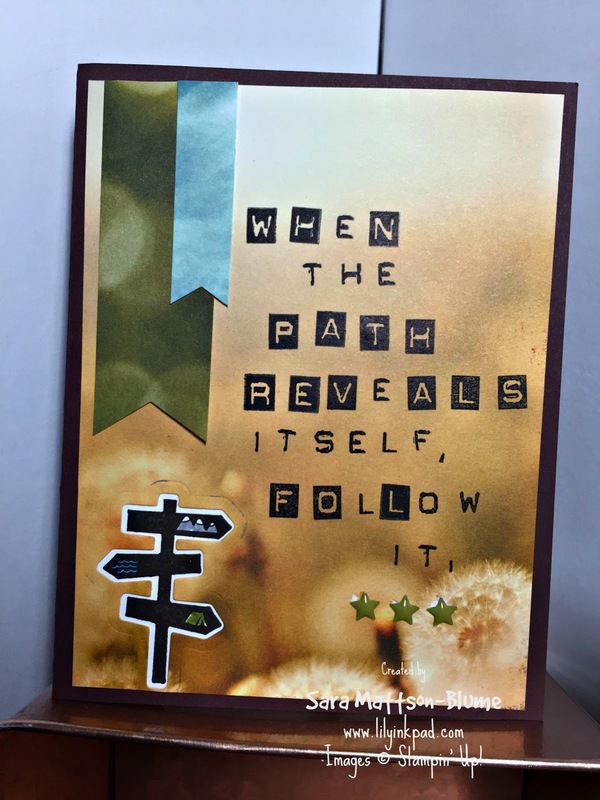 Lily's Ink Pad: 2016 Stampin' Addicts New Catalog Blog Hop Recap and Extra Details! 2016 Stampin' Addicts New Catalog Blog Hop Recap and Extra Details! Last weekend, I participated in the 2016 Stampin' Addicts New Catalog Blog Hop and now I want to add more details for you about the projects. On Monday, I posted a video tutorial on my Diorama card. Today, I'll show you the other projects in more detail. First up, I want to show you the awesomeness of the spinner card, so I made a mini video of the spin. The Spinning Star Framelit dies make it easy to make spinner cards. I used to create them using multiple punches and an exacto knife. This is way better. I used the frowny face as it fit with my design, but I've heard the smiley face makes more spins. The hill was cut randomly with my Paper Snips and then I used the Seaside Textured Embossing Folder for depth on the Gumball Green cardstock. The trees, clouds, and hot air balloon are from the Always an Adventure Stamp Set. I loved hot air balloons as a kid and I even decorated my bedroom with them. I used the marker direct to stamp technique to rainbowize the balloon. The trees were colored in the new Emerald Envy. The sentiment is from the Thoughtful Banners Stamp Set cut out with the Duet Banners Punch. 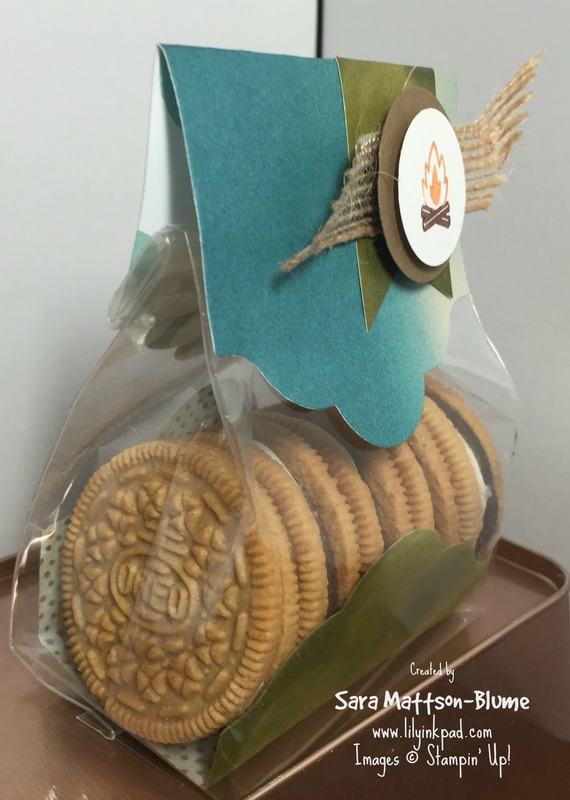 Photorealism is a trend in papercrafting and design, which I love. I am married to a photographer after all. I love every page of the Serene Scenery Designer Series Paper and it was fun to use this one to stamp the quote. I loved how many multiples of each letter there are in the Labeler Alphabet. I used a large clear block and simply put all the letters I could and then filled the empty places later. That's the beauty of photopolymer stamps! 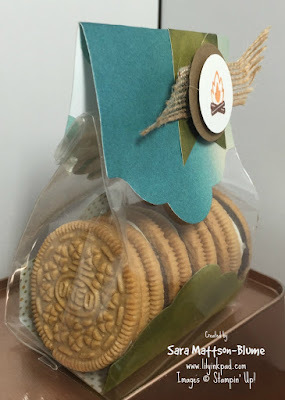 The final picture for today shows how I used the Lots of Labels Framelits inside the Gusseted Cello Bag to cradle the cookies. 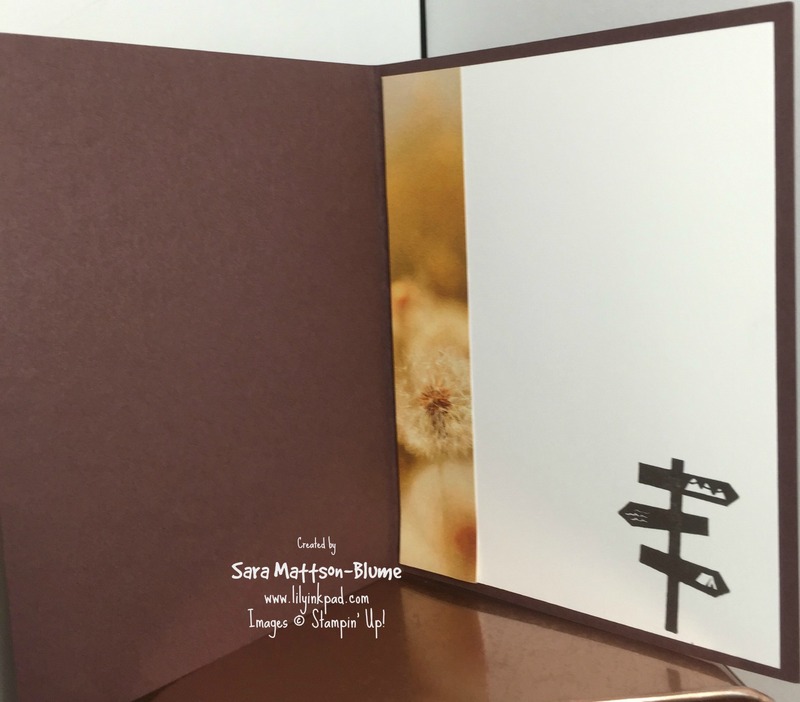 I hope you enjoyed these posts and the Stampin' Addicts 2016 New Catalog Blog Hop!